Due to continued escalation of medical and indemnity costs, many organizations may soon experience a rise in workers’ compensation premiums. A recent report, “Workers’ Compensation: A Bumpy Road from Recession to Recovery,” released in April 2012 by Conning Research & Consulting outlines the key drivers that have led to inadequate rates and the industry not reaping a profit since 2006. Whether organizations utilize commercial coverage or self-insurance, the industry has been hard hit with losses for the last few years. Although frequency of injuries had dipped for a short time, injuries are now on the rise, particularly those severe in nature and which require more time away from work. This challenging environment has called for innovative solutions that unite the claims community in a collaborative effort toward controlling costs over the long term and to support a happier, more productive workforce. To do this, many organizations—whether insurance companies, third-party administrators, risk pools, employers or public entities—have successfully deployed nurse hotlines at the front-end of their claims process. This one strategy has helped to enhance injury management for the benefit and advantage of all stakeholders. 1. Telephonic Demand Management. In workers’ compensation, nurse hotlines have become an effective way to telephonically manage and direct the demand for care. This strategy, also known as injury triage, ensures the most effective use of medical resources; controls medical costs; and matches the severity of an injury to an appropriate disposition for care. For example, when an injured employee presents at the ER with a minor injury, they often have to wait two hours or longer to be seen, as the more critically ill or injured patients require treatment immediately and typically ahead of them. With a nurse hotline, telephonic demand management channels injured employees to a more appropriate level of service, which improves—not only costs—but also convenience and satisfaction for injured employees. 2. Prompt Reporting of Injuries. The traditional injury reporting process has been plagued with challenges—primarily timeliness and compliance. Injuries are often reported late—sometimes as much as five to 10 days after an injury occurred. By that time, injured employees may have already visited an ER, taken time off from work, and entered a temporary disability status. In essence, the organization has missed its opportunity to manage care and influence return-to-work (RTW) results. In this way, an initial lag in reporting can result in multiple setbacks in coordinating the best-possible outcome. By using a nurse hotline, the injury reporting process is streamlined and immediate. The employee or supervisor can simply call the toll-free number to report the injury 24 hours a day. Triage nurses are trained to perform thorough questioning to gather comprehensive injury information. They also handle paperwork, which greatly reduces the burden on supervisors and injured employees to fill out and submit forms. With such an easy process, organizations often achieve a high rate of same-day reporting. 3. The “Day of Injury” Advantage. The “day of injury” is the most critical point in the workers’ compensation process, as it is the time when organizations can exert the greatest influence over medical care and RTW results. Nurse hotlines provide a major advantage in injury management, as employees are able to speak with a nurse within minutes of an injury occurring. The triage nurse makes immediate, critical medical decisions that set claims on the right course from the start, and positively impact patient care, as well as claims’ costs and outcomes. 4. A Coordinated Approach. After triaging an injury, the nurse hotline will send an immediate injury report to all designated contacts, including the worksite supervisor, claims adjuster, HR liaison, and RTW coordinator. Prompt distribution enables all stakeholders to initiate their respective roles in the workers’ compensation process, enabling each person to optimally affect the claim’s outcome. The nurse hotline also sends an alert to the medical provider office. Staff and physicians then know an injured employee is being sent to their facility for care. The report includes the employee’s personal and injury information, as well as employer details and workers’ compensation insurance. With this information, provider offices are able to handle workers’ compensation cases much more efficiently, and the physician is able to stay focused on providing the best-possible care and getting employees back to work quickly and safely. 5. Triage Algorithms & Nurse Expertise. Nurse hotlines have been around for a while, but the sophistication of the model has grown and evolved significantly over time—from structured protocols to clinical algorithms that lead to a more reliable and systematic process in triaging injuries. Algorithms are decision trees that enable nurses to make an in-depth evaluation of an injury and the patient’s medical background. The result is a sound triage decision based on clinical knowledge and supplemented by a nurse’s compassionate, personalized attention to each and every injured employee. 6. Right Level of Care. Worksite supervisors are often involved in making treatment decisions on where to send injured employees for care. However, these managers are not trained medical professionals. Many decide it is best to err on the side of caution, sending every employee for treatment with a medical provider. The result is unnecessary medical costs for minor and non-emergency injuries. With a nurse hotline and triage process, every injury is assessed by a medical professional and is referred to a level of care appropriate to the injury’s acuity. In an analysis performed by Company Nurse, it was shown that many employers reduce “unnecessary” ER visits by as much as 300 percent. 7. First Aid. With approximately 20 to 40 percent of incoming calls, a nurse hotline may recommend first aid or self-care guidelines. After speaking with a nurse, many of these employees do not require or request additional medical services. Others may utilize first aid advice to address injuries prior to seeing a physician, which often improves treatment results. Many calls, however, result in “report only” or “first aid” injuries, which do not enter the workers’ compensation system and do not become compensable claims. This can often lead to a 10 to 30 percent reduction in claims. 8. Improved Utilization of Preferred Providers. Many organizations invest time and effort in establishing a list or network of preferred providers, who are most qualified to treat occupational injuries and understand workers’ compensation objectives. However, the rate of referrals to these providers is often less than optimal. If this type of list does not exist, organizations will encourage their worksites to identify providers on their own and to establish a consistent referral process. However, this is very difficult to do without proper knowledge and a structured system. A nurse hotline has the expertise to help organizations identify and pre-designate quality providers within a reasonable radius of worksites. This list of providers or an existing network can be integrated into the hotline’s triage process. In this way, organizations have a mechanism to consistently utilize the best, most cost-effective facilities in their area. 9. Compassion Reduces Litigation. Injured employees usually experience a higher level of recovery and satisfaction if they’re able to speak to someone about their injuries. A nurse hotline serves this purpose, so it’s the injured workers who benefit most. By speaking with a triage nurse, employees receive a compassionate response to what is often an upsetting workplace accident. Nurses listen closely to the details of each injury and focus on the individual’s unique medical needs. As a result, employees have an overall positive experience with the triage process and walk away with greater peace of mind. With nurse triage in place, one Florida-based employer reduced its rate of litigation by almost 40 percent. From dramatic savings to improved employee satisfaction, nurse hotlines can positively impact workers’ compensation program results. In California, one risk pool was able to reduce its claims by 30 percent and overall program costs by 20 percent. A program in Iowa saw a 44 percent reduction in the average costs of claims reported through its nurse hotline. In short, organizations may experience up to a 200 percent return on investment within the first year of implementation. In selecting a nurse hotline, organizations must identify a provider that will serve as a strategic business partner. This means the service must offer a high level of flexibility and customization to meet the organization’s unique process, system, and data needs. Organizations should consider a hotline with a team of highly experienced registered nurses to effectively communicate with employees and triage their injuries. A quality assurance program will mean controls are in place to review incoming calls and ensure injuries are appropriately routed to the right level of care. Ultimately, workers’ compensation losses impact an organization’s overall budget, so containing these costs is critical in today’s difficult economy. A nurse hotline serves as the backbone to an “early intervention” approach. In next week’s article, we’ll discuss other strategies that can be integrated with injury triage for even greater success. Paul Binsfeld is CEO of Company Nurse, a firm specializing in injury management for workers’ compensation. 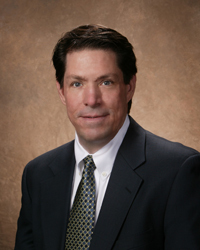 He has over 20 years of experience in the workers’ compensation industry. By consulting with many different employers, Paul saw that injuries were often reported late, and employees did not receive appropriate medical care. He identified the common need for early intervention in the injury reporting, injury triage, and injury management processes. Paul has written articles for many insurance and workers’ compensation publications, such as The Journal of Workers’ Compensation, Public Risk, Risk & Insurance, National Underwriter, and Employee Benefit News. In addition, his company was recognized as an Arizona “Company to Watch,” based on its growth and entrepreneurial leadership. For more information, email PBinsfeld@companynurse.com. The Company Nurse Injury Hotline enables organizations to make the “Right Call” for workplace injuries. As an independent facility, Company Nurse trains its triage nurses to be compassionate and objective when assessing employee injuries and medical needs. Our injury-triage process is founded on three important elements for workers’ compensation success: 1) Right Time – we respond on the Day of Injury, the earliest point at which to influence costs, outcomes, and employee satisfaction; 2) Right Care – our nurses refer employees to an appropriate level of care, whether first aid, clinic or ER; 3) Right Results – clients reap optimal savings and a return on investment, while employees benefit from a prompt, appropriate response to their workplace injuries. For more information, go to www.companynurse.com or call (888) 817-9282.